The friendly and knowledgeable staff at Maui Surf & Turf are experts at booking travel plans that suit your style and budget. 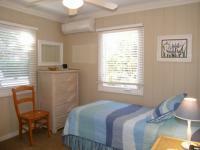 Located on Maui, they inspect every rental property before they consider booking it. Over the years, they have created an impressive list of the island's best vacation rentals, condos and resorts. From Kahana, Kaanapali, Kapalua, Lahaina, Maalaea, Kihei, Wailea, Kahului, Paia, Makawao, Kula and Hana, Maui Surf & Turf knows the top units and the hidden gems. They know exactly what each rental offers and they will find you the perfect place to stay. Andrea and her staff also provide personalized concierge services with incredible attention to detail. They welcome special requests. They can reserve extra sports equipment, or specialty vehicles, including limos and SUV or Mini van rentals. They share insider information on Maui's best restaurants including world famous Mamas Fish House, activities or sights, and can even order a private chef for your vacation rental. You dream it, they can build it.